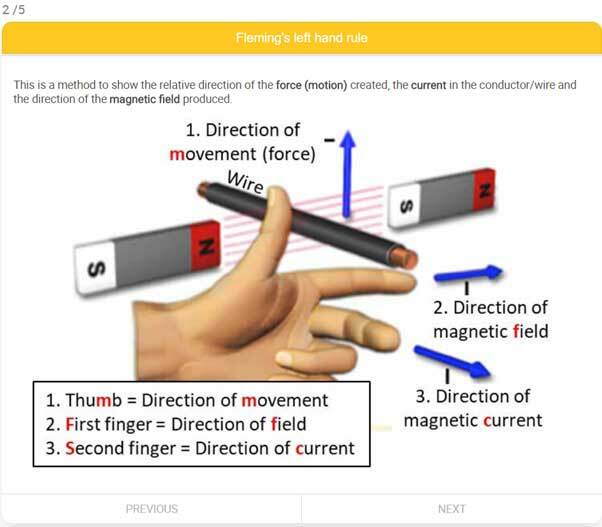 Science Surgery – Online GCSE Science homework, calculation Q's, video & personalised intervention Online homework, calculation questions, assessments and videos for GCSE Science. It's all automarked and allows you to track progress over time. It's quick and easy to set tasks. 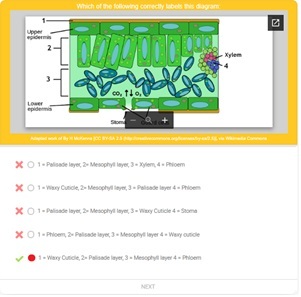 Online Formative Assessment for Science Homework and Classwork. Quick & easy to set tasks which are auto-marked. Great for tracking progress over time and interleaving. Set personalised intervention tasks automatically. Track & analyse progress by subject, topic or subtopic. EXPLORE FEATURES Want to have a nosey around? Get in touch. The GCSE Science syllabus has been broken down into over 1000, manageable, bitesize flash-cards to help students learn the content. Auto-marked questions for every piece of Key Knowledge in order to assess whether students can recall that piece of Knowledge for the Science GCSE’s. Over 700 practice calculation questions. Again, they are auto-marked and students are provided with worked solutions if they get it wrong. Store GCSE Science exam results taken in class, enabling you to track & analysis students progress topic by topic. From this set personalised invention tasks and auto-assign these based upon the results entered. 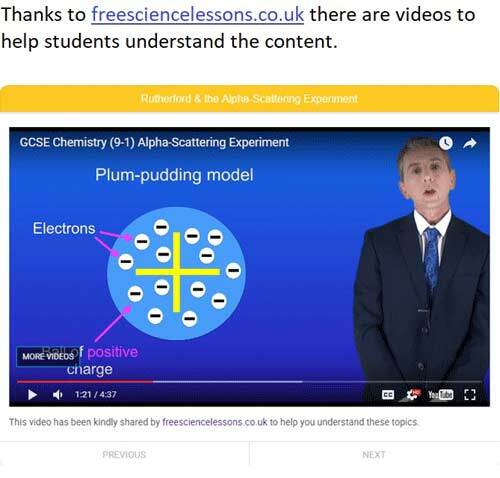 Support students understanding of the GCSE Science content with our bank of video (provided by freesciencelessons.co.uk) or add your own links. 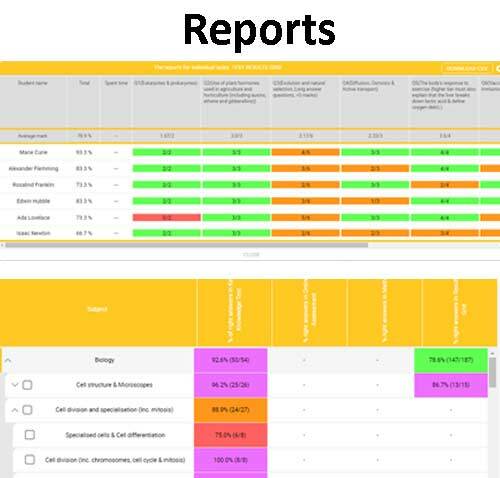 There is a variety of different reports available. Analyse each task by year group, class or individual student. For example, see their strengths and weaknesses against our science content tree which you can drill down from subject level down to topics and into subtopics. Enabling you to see where intervention is required. 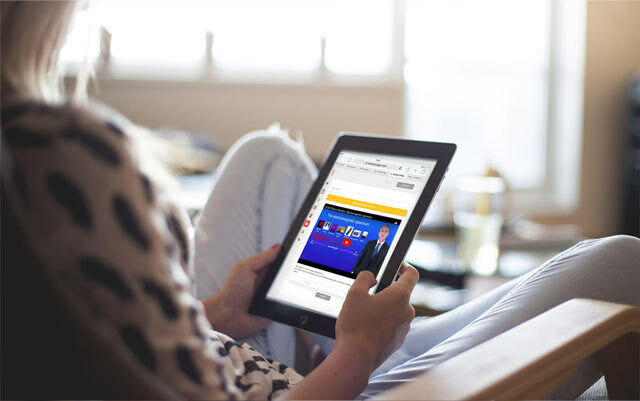 View detailed reports for year groups, classes or individual students. This provides comprehensive analysis of progress and areas for development by subject, topic or subtopic. All of our online tasks are auto-marked, tracked & analysed to enable students to progress quickly and easily. We honestly believe that there is nothing else like this in the market. Finally, you can try all of this free for 3 months**…. what’s not to like!? Get started by signing up here. Over 1000 Key Knowledge flashcards to make learning easier. Videos to help students understand the content. More time for ‘deeper’ learning and application of knowledge in class. Students and teachers can automatically set a variety of personalised intervention tasks. Analyse strengths & areas for development. Build up a detailed, robust, diagnostic picture over time. Auto-marked multiple choice questions for every piece of Key Knowledge. Auto-marked calculation questions with worked answers. Track & analysis their progress over time. Automatically assign personalised intervention tasks you’ve created. Key Knowledge flash cards – We have broken down the syllabus into manageable, bitesize flash-cards to help students learn the content. The aim of this is to support students learning but also to try and free up teachers time in class allowing more time for ‘deeper’ learning and application of knowledge rather than ploughing through the vast content present in the new science GCSE. With one click, teachers and students can set a variety of intervention tasks. Our clever system will automatically pulls out areas for development which is personalised for each student. This is a powerful tool for interleaving (spaced learning). Our site will enable you to analyse your department’s areas of strengths & areas for development. You can analyse by year group, class or individual student how they are getting on with a variety of different options. For example, see how long students are spending on homework, see their strengths and weaknesses and drill down from subject level down to topics and even subtopics to really enable you to see where intervention is required. You could use this to decide which topics to use for interleaving. You can track students’ progress year on year, so for example from year 9 all the way through to year 11. This enables you to build up a really detailed and robust, diagnostic picture. Key Knowledge Tests: We have created over 1,000 multiple choice questions to test every piece of Key Knowledge. As students’ progress through the curriculum these will help you build up a picture as to the strengths and weaknesses. These can be drilled down form year group level right down to a specific student. All of these questions are marked automatically and provide students with the solutions if they do go wrong so that they can see where they are going wrong. 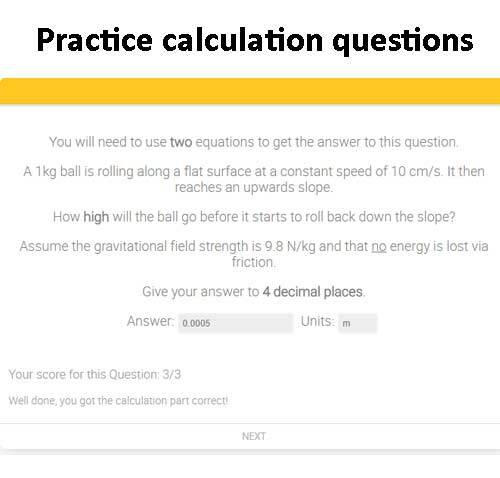 Practice calculation questions: We have over 700 practice calculation questions linking to virtually all specification points. Each question is auto-marked and provides students with worked answers if they get it wrong. In some cases it will even tell students where they went wrong and what they should have done to gain full marks. Students can enter exam results taken in class, enabling you to track & analysis their results topic by topic, question by question. Create a template by assigning questions in the exam to areas of our content tree in order to track the progress of your students. From this you can create your own invention tasks and let our system assign these to each student based upon the results they entered, and all at the click of a button. Track the results from exams from year 9 and by the time they are in year 11 you will know exactly where their strengths and weaknesses lie, empowering you to make effective intervention.